Katie Fyfe | The Journal Gazette Purdue Fort Wayne's Richie Diedrich spikes the ball during the second set Saturday against Lindenwood. 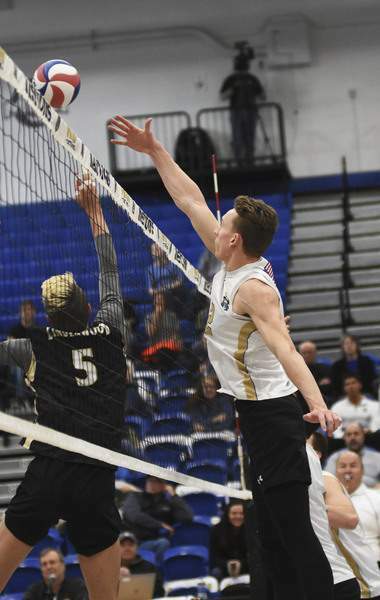 The Purdue Fort Wayne men's volleyball team hadn't hosted a Midwestern Intercollegiate Volleyball Association quarterfinal in four seasons. The Mastodons also hadn't won one since 2014. This year was the season of change, and the No.3-seeded Mastodons clearly want theirs to continue, as they swept No. 6 Lindenwood 3-0 (25-12, 25-21, 25-19) at the Gates Center on Saturday, landing them a spot in the MIVA semifinals. At 23-13 in the final set, Perrotte subbed out Colton Stone and Michael Keegan. The two seniors received a boisterous cheer in what might have been their final home match of their careers. After Stone, an opposite hitter, had seen his minutes dwindle toward the end of the season, Perrotte went with the senior to step up in the big moments – and Stone didn't disappoint. 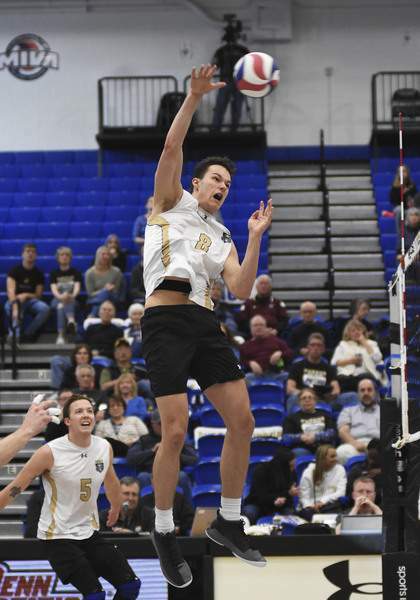 “I think coach Rock (Perrotte) put me in for the service pressure I bring, and once I got onto the court I just decided that it's my time to shine and it felt really good,” Stone said. Stone's three aces also catapulted him into the program's top 10 career ace list. “When I gave him the green light, he told me 'I'm going to be ready to play no matter what,'” Perrotte said. “I told him we needed his arm, serve. PFW (17-11, 9-6 MIVA) played arguably its best first set all season. With a .520 hitting percentage and holding Lindenwood (9-19, 5-10 MIVA) to .038, the Mastodons looked unstoppable. 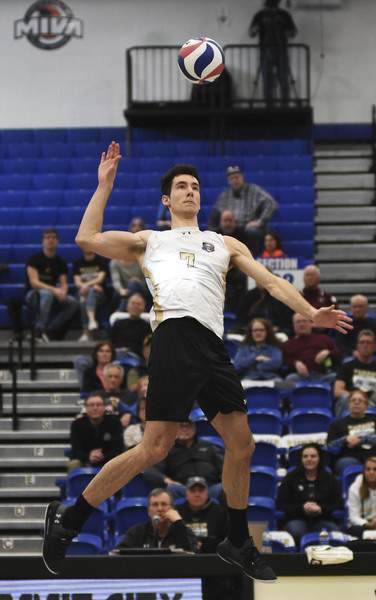 They finished with a .247 hitting percentage and held Lindenwood to a negative one. Fifth-year senior Tony Price, a Carroll graduate, went out with a bang in his possible last appearance on Arnie Ball Court. The outside hitter led the team with 11 kills, posting a .500 hitting percentage. But his family support through the years was just as meaningful as the win. Perrotte said Price's offense came to him because he was doing all of the other little things right. The Mastodons' reward for reaching the MIVA semifinals is a date Wednesday with either Ohio State or Loyola. Seeding will determine home court.